A visit was made to the above clubs for more signatures, most people at these clubs had already objected via one of the available objection channels. This is great but also means that the clubs have been saturated and there are no more people available to object within them. The Cafe Club produced 6 and the Gardeners Club produced 5 of each objection category. Despite this low number a large number of templates letters were taken away for friends and family to fill in which made the exercise worth it. *A Mr and Mrs application needs to be signed separately to count as two separate objections. *Anyone over 18 years living in the same household can sign the letters. *Each person should fill in 3 forms – 18/000140/MAO, Policy 19 and Policy 23, not just one form. *Anyone living outside of Biddenham including people living in foreign countries can sign the letters. There is also a lack of understanding about the impact of the planning application despite the considerable amount of material available on the internet and the letter drops. Some people especially people living outside Biddenham are apprehensive about signing something they don’t understand. But once understood they are happy to sign. The human interaction element is very important for the undecided element of the population. There are 1700 adults in Biddenham that are eligible to make an objection and this number has not been totally reflected in the 500 objections received so far, The 500 includes a lot of people living outside Biddenham! This should be done in conjunction with the Door Step Challenge 10. Proactive people need to go out to neighbours houses especially the ones unknown to them. Also another useful avenue is to get all friends visiting households to sign the objection letters. Bundles of template letters are available from 10 Darlow Drive if you don’t have access to printers. The third and final letter drop will occur within the next couple of days in Biddenham. If you haven’t objected please act and do so now. A copy of the letter can be viewed in advance by clicking here.This is the last opportunity to stop the bulldozers moving in. The planning application for 18/000140/ MAO, which relates to the proposed 250 houses to be built West of Gold Lane, has now been extended from 16th February 2018 to the 9th March 2018. The simplest way is to object via the internet at www.have-a-say.co.uk/1800140MAO or a letter drop via the door step receivers at the following link Door Step Challenge 10. The deadline for Policy 19 (click here for direct internet objection link) and Policy 23 (click here for direct objection internet link) has been extended to the 29th March 2018 by 5pm, but don’t delay as time is marching on. The Parish Council are grateful for the objections received so far which are now very close to 500 with pending letters still to be processed by the Borough Council. The planning application for 18/000140/ MAO, which relates to the proposed 250 houses to be built West of Gold Lane, has been extended from 16th February 2018 to the 9th March 2018. The deadline for Policy 19 and 23 has been extended to the 29th March 2018 by 5pm, but don’t delay as time is marching on. A third and final letter will be sent out to all residents in Biddenham shortly, please act on it if you haven’t objected so far. A copy will be published on this website shortly. On Tuesday 13th February 2018, The Biddenham Women’s Group were asked to object to the new planning application West of Gold Lane. The event took place at the the Church Barn where Francia Slade and Val Fitzbugh facilitated the signing and collection of the objection letters. Again as with other workshops the response was enthusiastic and multiple letters were busily filled in. A number of people present had already objected via the internet channels to the development which was great. There were however a good many that hadn’t. At the Parish Council meeting held on the 7th February 2018 it was discussed about what we should do to encourage people who are uncomfortable about objecting on the internet or sending a simple letter to the Council. There are around 2000 resident adults who are eligible to object in the village. This high number is not reflected in the objections received so far. There is some concern that we are not tapping into the non-internet community. The deadlines are fast approaching for Planning application 18/000140/MAO, Friday 16th February 2018. For Policy 19 & 23 there is a deadline of 5th March 2018. ACT NOW DON’T LEAVE IT TOO LATE. On Thursday 8th February 2018, parents of Biddenham toddlers Club were asked to object to the new planning application West of Gold Lane. The event took place at the village hall where Joe Warren handed out simple objection letters for the proposal. There was a a lot of concern about the housing development and infrastructure supporting it with some people still unaware of it! Today is the last day you can register to make a comment on the planning application to demolish Biddenham House and build 8 new dwellings on the site. So far there are 146 comments submitted by the public via the Borough Council Portal. Please reach out to friends and neighbours who have not already submitted a comment or may be unaware. Bedford Borough Council will take into consideration the volume of comments when making their final decision. The most effective way of doing this is to register a comment on the Bedford Borough Council website direct. please click here. Note the following when making the submission. The deadline for a Neighbour Consultation submission is 11th January 2018. No submissions will be accepted beyond this date. 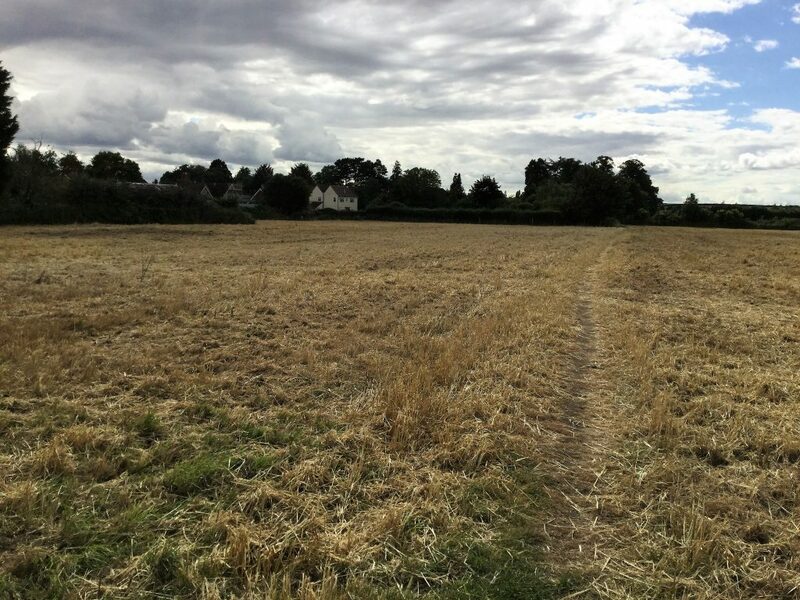 There is an imminent planning application for hundreds of houses west of Gold Lane. I hope people will help the Parish Council oppose this application. Shortly a letter will be sent out to all residents in Biddenham.